10th anniversary iPhone to be the most expensive yet? Rumors abound painting Apple's next iPhone as an entirely different beast than its predecessors. However, all those changes could come with a hefty price tag to boot. Given the advancements and new features Apple is expected to put into the upcoming iPhone 8, a source speaking with Fast Company reveals the 10th anniversary iPhone - which might go by the name iPhone X - could cost more than $1,000 (about £800/AU$930). It wouldn't actually be too outlandish for an iPhone to cost a grand, as the 256GB iPhone 7 Plus already commands a price of $969 (£919/AU$1,569). That said, it appears the iPhone 8 could step that figure up as the most expensive handset from Apple yet, barring those third-party 24 karat gold iPhones marketed at billionaires. Why might the iPhone 8 be so expensive? Still, it's quite a leap to go into quadruple digits for a phone, so what could drive the price up that high? Several reports claim Apple is looking to use a curved AMOLED screen for the device. 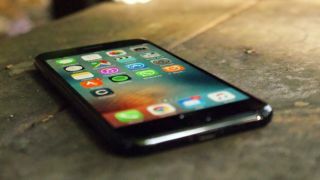 While eye-popping and vivid, AMOLED screens could cost Apple twice as much as the LCD screens currently used in its handsets. This version of the iPhone 8 is expected to have a 5.8-inch screen. Other improvements, such as increased memory, a new sensing technology, and a better camera, are also rumored, all of which could further bump up the smartphone's production costs. We won't know for sure how much to shell out until Apple gives the word later this year, but we anticipate there being different models - namely the iPhone 7S, iPhone 7S Plus and iPhone 8 - to give customers a chance to opt out of more expensive features, similar to the dual-lens camera exclusive to the iPhone 7 Plus.